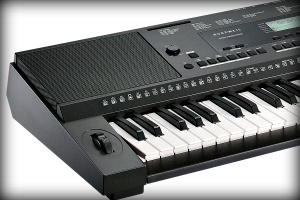 Equipped with hundreds of sounds including Kurzweil's Triple Strike Piano (from the PC3 Series workstations), a 6-track song recorder and over 200 auto-accompaniment patterns, the KP110 is a powerful, portable keyboard aimed at beginners and music enthusiasts alike. 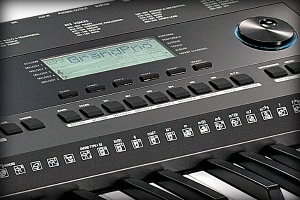 61-note, synth-action keyboard with adjustable touch sensitivity. Enjoy a wide range of acoustic and electronic sound selections, featuring pianos, organs, guitars, orchestral, synths, and ethnic instruments. Download the User Manual for a complete list. Built-in, interactive patterns are offered in a variety of musical genres, putting a whole backing band at your finger tips to play along with. 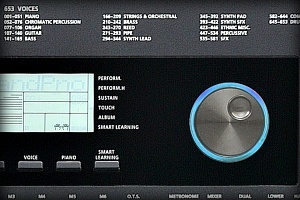 Create real-time arrangements using left-hand single-fingered/EZ-play or fully-voiced chords. 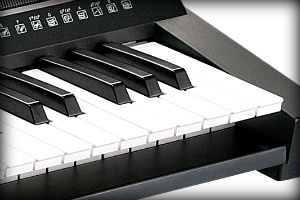 The KP110 also offers a 'full-keyboard' mode that responds to chord input across the entire keyboard range. 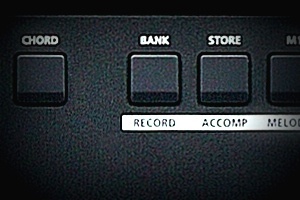 With the easy-to-use song recording features, you can record your own keyboard performances. 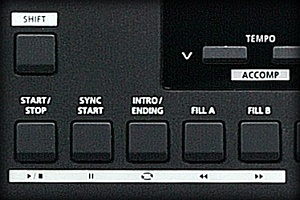 Up to 10 user songs can be recorded with 6 tracks each (1 Accomp track, 5 Melody tracks). The innovative Performance Assistant helps you to perform various idiomatic guitar and piano phrases that can be triggered by playing just a few keys, facilitating the performance of strums, broken chords, and phrase endings. 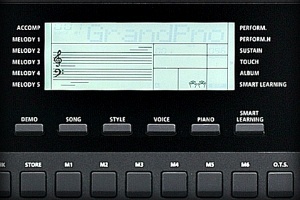 Housed in an attractive synth stye chassis the KP110 comes complete with a detachable music stand and built-in stereo sound system. Powered by wall AC or battery power, you're ready-to-go for either home or portable use. The sleek control panel and clear backlit display provide quick access to all system functions.